Waiting by the Florida Fresh kiosk, originally uploaded by Erin *~*~*. 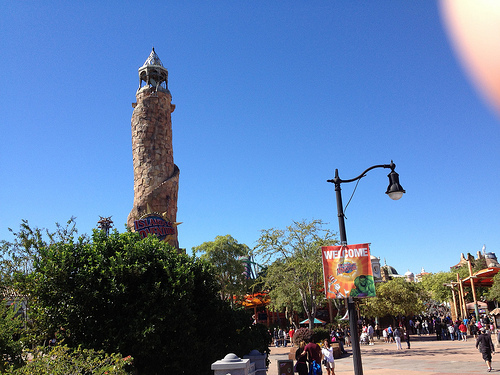 Now entering Islands of Adventure, originally uploaded by Erin *~*~*. The family got ahead of me – I stopped at Starbucks! A banner day at Downtown Disney, originally uploaded by Erin *~*~*. You can see the weather we’re up against – intermittent and sometimes even simultaneous rain and sunshine. Now that I’ve stuffed myself, I need to walk around a bit before getting in the car for a three-hour drive. A good browse through World of Disney should do the trick! 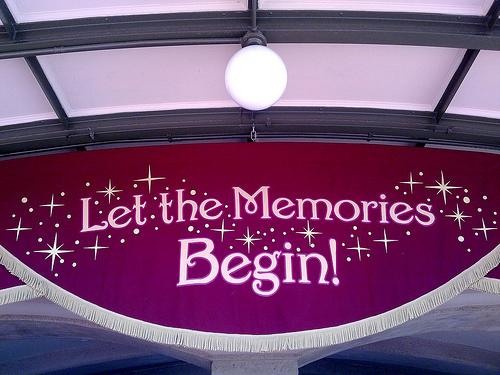 "Let The Memories Begin! ", originally uploaded by Erin *~*~*. 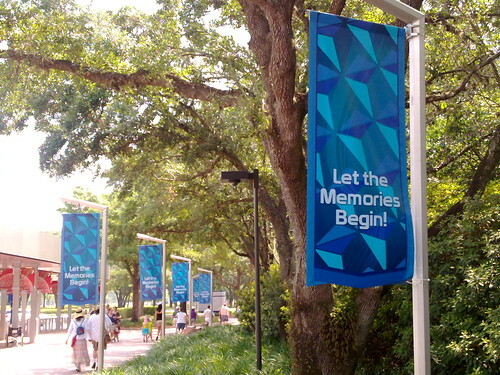 I like these banners – the colors are soothing, as is the whole shady stroll into EPCOT from the bus stops. I also tend to like anything with the geosphere pattern on it. 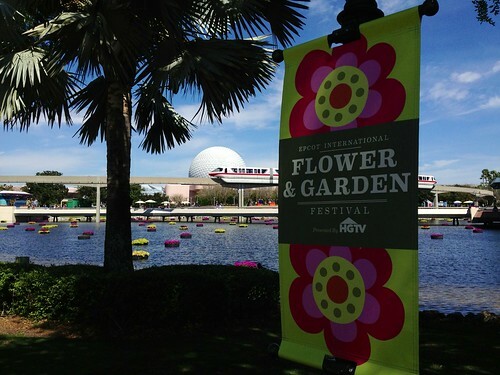 It’s the EPCOT icon, after all! 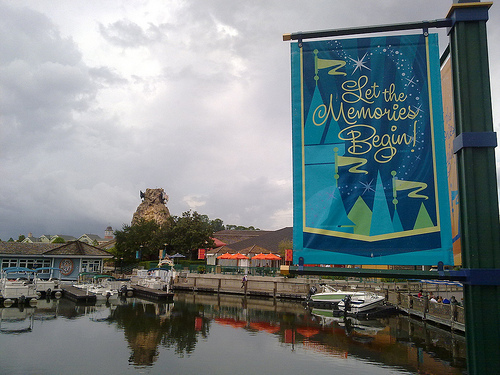 Hooray – Magic Kingdom!, originally uploaded by Erin *~*~*.